For most people the start of November signals the beginning of the holidays. Thanksgiving is right around the corner, and then it's a straight shot to Christmas and New Years. Which, I will agree, are amazing holidays each year. But for my crew, November holds a more special place in our hearts. November is adoption awareness month (read a past adoption post here), and being that my family of 7 consists of a pair of kids that have come to us through adoption, we have an added appreciation for November. And if things weren't already great for this month, we celebrate a huge adoption milestone this month as well. We call it our "Family Day" and it symbolizes the day that our family "officially" became our family. My wife and I have been with our boys since the day they were born. They were "ours" well before we held them in our arms, but in a world of legalities, we had to go through the court system to finalize the adoption all the way down to getting our names on their birth certificates. The day that this happened in front of a judge was 5 years ago this month! And each year we celebrate this day as our Family Day, a day we focus just on our crew. Each year we do this a little differently depending on where we are physically and financially. In years past, we've tried to do a fun activity (Zoo, Children's Museum, Chena Hot Springs, family hike) and then go out for a family dinner. For our activity this year, we were pulled towards providing a deeper experience for our kids. With all that is going on in our day-to-day lives, it's far too easy to disconnect from the life experiences of others around the world. We feel it's important for our kids to understand that there so many things to be thankful for each day, AND even more reasons to find opportunities to give back and help. There is no reason to use all that we have just for ourselves when there are kids throughout our country and the world with so little. 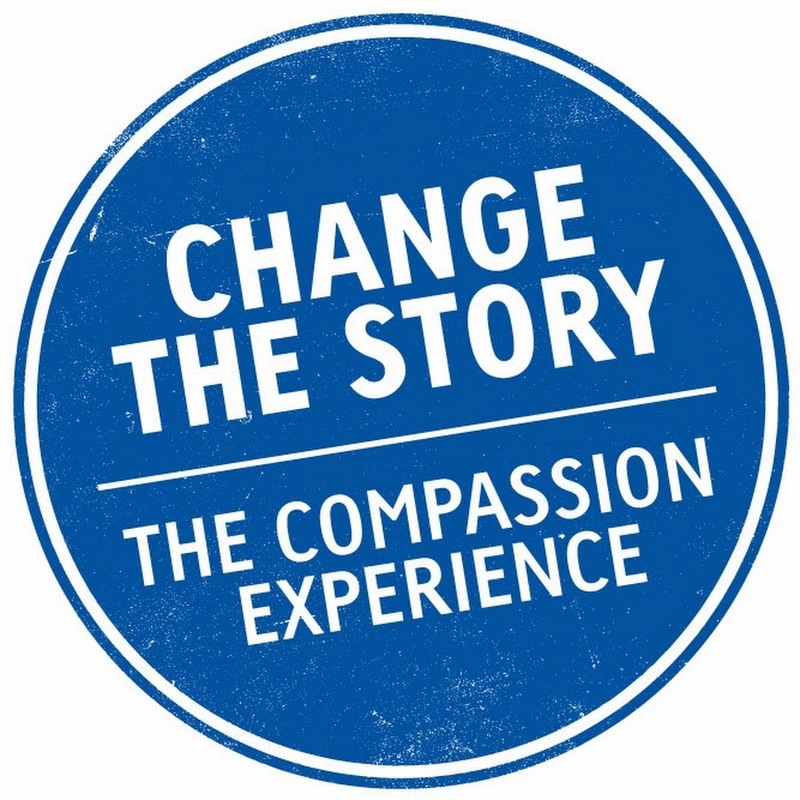 So, this year we took our family to The Compassion Experience, a mobile exhibit that allows you to step into the world of 2 children growing up in a 3rd world life. We started by experiencing the story of a boy from Ethiopia whose parents left him with an Aunt. He wasn't allowed the same privileges as his cousins, but his story shows how he kept a positive outlook. After time, a neighbor convinces his Aunt to allow him a chance to be a student on scholarship. His story goes through the heartache he experiences, but also the support he received from his sponsors to finally become an artist and builder. listening to him tell his story, I watched how each of my kids reacted. 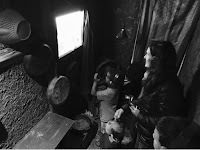 My oldest four (5, 5, 8, & 10) looked through each room interacting with the story. They were engaged, and showed elation for his successes, and sadness for his defeats. His story hit each of them in a different way. Two of the kids were overwhelmed with all of it, and were ready to be done when we exited his story. The other two were ready to learn more as they looked through the pictures of kids that we could choose to sponsor. It was at this point, that my wife took the two that wanted to go on to the second story, while I took our youngest, and the other two out to a playground next to the exhibit. We were all moved by the reality of their lives, and left the experience wanting to help. And while we couldn't commit to sponsoring a child this go around, it is a goal of ours. 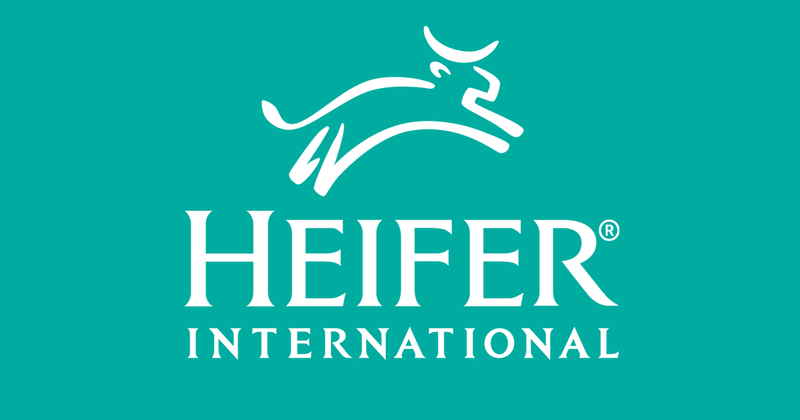 We will instead get back to our Christmas tradition of giving a gift of a farming Heifer International. There are many options for helping, and I've linked to the gift page on their site to see all of the great options. Please take the time to visit both sites and consider helping this holiday season.